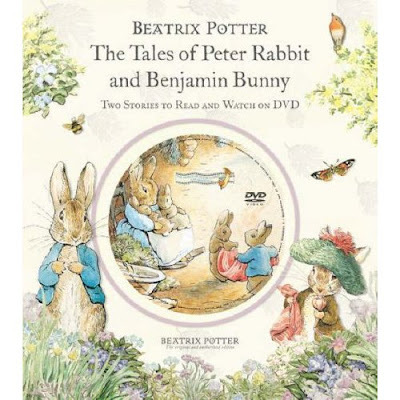 Vic's mom gave Sophie the Tale of Peter Rabbit and Benjamin Bunny book/DVD for her birthday. We watched one of the stories tonight. It's a lovely animated story. However, I think a couple of parts were a little scary -- the bunnies got a few smacks on the bottom with a stick when they were naughty. Sophie is also going through a stage where she asks if characters on TV who appear in old costumes are "dead". Beatrix Potter is portrayed by an actress in the story and naturally prompted that question. What a nice gift from Grandma Hamilton. Hope you all enjoyed this great classic for Sophie's birthday.